You could not build something similar to Pantsir-S1 with 57 mm guns, because those guns are to large and they/it have to be placed in the middle of the turret not at sides. For system like Tunguska or Pantsir, 30 mm gun is the best option to be placed at side, maybe 37 mm gun, but I think 37 mm gun is no more in use in Russian military. 57 mm gun is excellent option to be placed on BMPs and could have air defense as secondary role. They could also produce specialized 57 mm SP AA gun, with radar, TI, laser rangefinder and marker, datalink, etc, to supplement other air defense systems in ground units. It could be also equipped with some Iglas at sides. medo wrote: It could be also equipped with some Iglas at sides. think 37 mm gun is no more in use in Russian military. I agree. Without making a really huge turret two 57mm guns is too much... especially if you want a dual feed weapon with the ability to choose between two different types of rounds quickly. 57mm is enough of a jump up in power from 30mm to make the extra reach worth it. The 35mm guns on the Gepard are not actually that much longer range than the 30mm of the Tunguska and have a fraction of their rate of fire and so rely on accuracy... which is good for straight and level targets but not for small or manoeuvring targets. The 57mm round has an extra 2km range over the 30mm (6km vs 4km) with standard ammo and with guided ammo perhaps 8km -10km effective range. The ability of the 57mm round to follow targets as they manoeuvre means they don't need rapid fire capability. The 37mm round previously used by the Russians is probably not that much more effective than the 30mm as its slightly extra range advantage is negated by its reduced rate of fire. Having said all that I think a modern telescoped round of even better performance is worth developing. We are in agreement... however instead of Iglas with a 6km range I would be tempted to use SOSNA missiles with an 8km range and using laser beam riding guidance. The main fault of the 57mm laser homing shells is that their optics is pointed at the target so they are vulnerable to DIRCMs. If a laser has to be on board the vehicle anyway a few SOSNA missiles that use beam riding technology could be used while the 57mm autoloader is reloaded, and also in case the target is blinding your rounds. Of course firing at 120 rounds per minute and remember because there is only one laser needed marking the target think of the scenario of a group of BMP-5s (made up but bear with me) with a mix of 100mm rifled 2A70 guns with 30mm cannon mounted coaxially for a range of targets and also vehicles with a single 57mm main guns as a dual purpose anti ground and anti air weapon that mixes a high rate of fire with a small HE payload and an incredibly high velocity anti armour round and of course a guided round for air and ground targets. In a second scenario lets say it is a flight of 8 Apaches in very open terrain but their DIRCMs collectively are able to deal with the number of 57mm shells being directed at them... if the BMPs fire 3-4 SOSNA missiles that DIRCMs can't do much about because the missile is travelling at over 1km/s and is looking back at the launch vehicle and not at the target then the flight numbers are suddenly reduced and the 57mm shells can overwhelm the remaining aircraft. Obviously these two examples are idealised to show what the new air defence vehicle could do. In that case I think it is better just to switch to unguided 57 mm rounds and fire on plane / helicopter equipped with DIRCM, because they could not be jammed. If the gun have duel feed, unguided rounds are already ready to use. DIRCM could also jam laser guided missiles as RBS-70, ADATS or Sosna. The missile itself look in launcher, but IR missile locator in launcher's optics could be jammed by DIRCM and could not see a missile (as T-90 jam ATGMs with its IR lights). DIRCM could also jam laser guided missiles as RBS-70, ADATS or Sosna. (as T-90 jam ATGMs with its IR lights). Don't know about RBS-70 or ADATS but SOSNA could not be jammed by DIRCM. DIRCM works by dazzling the IR or optical seeker of an incoming missile or by dazzling the optics of a launcher that uses command guidance that needs to know where the missile is to generate course corrections to manouver it into the target. SOSNA is a beam riding missile so the launcher vehicle uses an autotracker to follow the target in the visible light spectrum that directs a laser beam onto the target. When the missile is fired it rapidly accelerates to 1.3km/s and then the solid rocket booster falls away and the side angled rocket engine starts up to maintain that velocity while the rear end of the missile looks back at the launch vehicle at the laser beam. The laser beam is split into four quarters with 4 colours so top left is one colour, top right is another colour, bottom left is another colour and bottom right is the fourth colour. If the top right colour is blue and the missile sees blue it knows it is high and to the right of the beam and it will manouver down and to the left till the colour it sees changes. The centre of the beam it should be able to see all four colours so it knows it is on target. The DIRCMs can dazzle the heck out of the missile but the missile is not looking at the target. Because the laser sensor in the missile is looking directly at the laser beam source then the laser can be 4 orders of magnitude less powerful than a laser beam that is reflecting off the target. The effective range of the system is not determined by how reflective the target is to a laser too. The very high speed of the missile greatly reduces the reaction time of the target. Within 6km with laser range finding and high velocity shells and modern ballistics computers should make unguided 57mm shells more effective, but a whole unit would probably have to be shooting at some targets to get a hit. Of course a single 57mm shell hit would be devastating for most helos... the 2.8kg shell is heavier than most MANPADS warheads. Excellent explanation. I was thinking, that Sosna works in classical SACLOS with laser guidance, where IR locator in optical sight locate missile comparing to the line of sight and send correcting signals by coded laser signal, similar as with radio guidance. How much influence have weather on 4 color laser beam riding? If one color is more reduced than others, than missile could decline in direction of that color. First of all I am not totally sure they actually use colours exactly because if they did then they would be using visible light which is effected by cloud and mist and fog and smoke etc. I would suspect the "colours" used would have been decided on based on transmission performance through the atmosphere so perhaps blue or red might not be used because of the way they are absorbed by the atmosphere. The colours are basically specific frequencies of light so even if a minor amount of energy is lost it should still be able to detect the remaining energy as a specific colour. I would think they would use "colours" that don't mix like green and the beam does not allow the different colours overlap and form mixtures. Its range is only 8km and in clear sky operates at very low power but there is no reason why they couldn't crank up the energy in bad weather as the missile gets closer to the target. The missile nose is very sharply pointed because it reaches a top speed of 1,300m/s when the booster burns out and its onboard rocket lights up and reduces drag to maintain a high speed till impact for a flight time of less than 8 seconds. MANPADS are often bought in such large numbers they are not often included in figures for air defence missiles bought as air defence forces are not the major user of MANPADS. I would suspect that if they are upgrading 100 Osa and Tunguska they will likely be retiring rather more that will need to be replaced with new vehicles. I would also expect that a lot of towed ZU-23 systems will likely be being withdrawn and replaced with missile based systems too, though in the case of the VDV with the SA-13s replacing the ZU-23 the SA-13s might be from stocks because as was mentioned when they announced the replacement the SA-13s were only temporary till the new airborne vehicle with missiles is ready. Only my speculation of course. Hmm... If MANPADS are not included, what could be correct, than 400 new built Pantsirs, Tors, Buks and S-300V is quite a large number for one year. Maybe this include Sosna gun-missile system, although there were no words about Sosna for a long time. It seems they will not replace Osa, Strela-10 and Tunguska, but modernize them. That could mean, that for a while any new build SAM system will only increase the number of systems. Anyway, I would really like to see pictures of serial tracked Pantsir and of Tor-M2, to see, if Tor-M2 will be tracked or wheeled. This will likely include upgrades and substitutions... like SA-13s replacing ZU-23s would be counted as "new" too. Also remember that the third operational S-400 regiment is likely to be deployed this year, so one regiment is 4 battalions each with at least 8 launchers per battalion... so at least 32 launchers will be S-400, and one would expect the full regiment would have Pantsir-S1 units to protect it from an attempt to overwhelm it, and they are new systems likely not replacing anything but providing new capabilities. The models in best condition will likely be upgraded, while the ones in worst condition will likely be scrapped or cannibalised for parts for other in service models. I am pretty sure you will see both... wheeled models will be needed for the mobility to keep up with light and medium brigades, while tracked and mounted in an Armata chassis will be needed for the heavy brigades. Apart from the heavy brigades I would guess most other models will be wheeled or trailer models for fixed locations. This would be the most cost effective option as wheeled and trailer models are much cheaper to buy and to operate. The article is exclusively about ground forces air defense, so S-400 and Pantsir-S1 for air force air defense are here not included. This is separate branch of military. You are correct here. Tracked version to protect highly mobile tank brigades and wheeled to protect lighter wheeled brigades and logistics behind the lines. Trailer models are good for air force air defense, who protect fixed objects, but for ground forces they are useless. They need to be mobile to support unit in moving. I think article is quite clear here. It say they will buy 400 new build complexes and 100 will be modernized. I doubt they will see SAM-13 as "new build complex", but who knows, everything is possible. Oops, you are quite right, though the Airforce no longer has the PVO as a component, this has been moved to the Space and airspace defence force... strategic targets will likely get S-400 first and then trickle down to other roles eventually likely including main AF bases. S-400s will almost certainly be deployed to protect high level Army infrastructure too, but you are quite right that they will not get them any time soon. Strategic stuff for the Army that is mobile will be protected by S-300V4 and stationary stuff will likely be protected by S-400 and S-500 when it is ready. There will be some fixed sites that could use trailer based SAMs. For instance forward airfields that are semi fixed can use trailer based SAMs... note a trailer based SAM just needs a prime mover and it is totally mobile... it is not a building. It however works best when used with something that doesn't move around very much at all like a mobile hospital or forward airfield, or HQ. I think you are right. I still don't think they would include MANPADS unless they mean MANPADS regiments because MANPADS could easily be all they are buying if the figure is 400. Russina ground forces air defense is testing new MANPAD (Verba maybe?) and 250 of those MANAPDs they will buy this year are part of 400 new complexes. 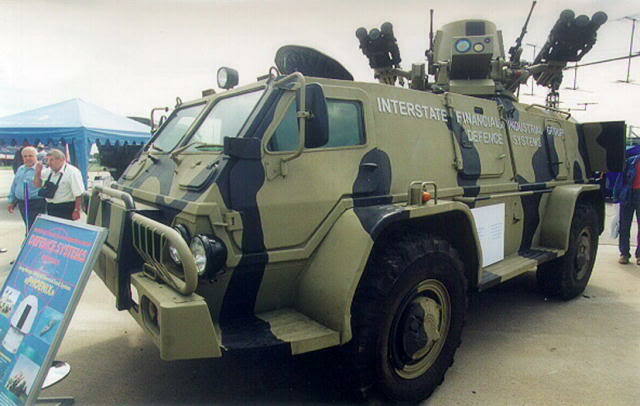 Those new MANPADs will be mobile and not portable, maybe something like Strelets. I wonder which vehicle they will use. I think Volk would be excellent for this purpose. Other question is, which complexes will for other 150 complexes and in what numbers like S-300V4, Buk-M2, Tor-M2 and maybe Pantsir-S1 placed on tracked vehicle or on BAZ truck. Russina ground forces air defense is testing new MANPAD (Verba maybe?) and 250 of those MANAPDs they will buy this year are part of 400 new complexes. Those new MANPADs will be mobile and not portable, maybe something like Strelets. If not portable then they are not really MANPADS. Perhaps they are talking about SOSNA? You could be right however and it might just be Verba on a strelets launcher. The fact that they say it can be operated remotely perhaps they mean the towed model of SOSNA with the small cabin and the single twin barrel 2A38M 30mm cannon plus a quad launcher for SOSNA missiles? Perhaps it isn't strelets which probably can't be operated remotely as it would need power traverse and elevation capacity... it might be that system that was displayed a while back called Phoenix? It had a very small slightly pointed turret with 1 x 12.7mm HMG on each side with quad Iglas mounted outside that. It seemed to have flat "radar like" panels around the turret plus an optronics box system at the front. It was mounted on a Vodnik vehicle I think from memory. Perhaps with Verba mounted this might be the new system? The advantage of a mounted system is that it should be much more effective against cruise missile type threats along with better mobility and all weather capability. The translation of the above article seems to say that the system is capable of remote operation. This is fairly unusual and rather unlikely for the current version of Strelets as it would need to have powered traverse and elevation to find and track targets. BTW from the translation of the above link I clicked on the link to the "Final (successful) projects [OPK] of Russia" and noticed near the bottom the ADS rifle entered serial production in 2005. Other sources of info have just suggested it is in trials. It seems those MANPADs are MANPADs, but only for now Russian ground forces decide to mount them on mobile platforms. Maybe Igla-S is for now more than enough for portable system and maybe Strela-10 more need proper replacement than Igla or Igla-S. I'm sure that later they will also buy portable version of this new MANPAD. I hope we will soon see photos of this new system. In the mean time we could only guess what it is and how does it look like. Was going to reply that in the babelfish translation I read the article itself didn't actually mention MANPADS, but the photo below was Igla and the comments below mention MANPADS. Of course the huge advantage of using Igla is that you can update it with Verba when it becomes available and while it isn't then Igla-S is potent enough for 99% of threats anyway. You were right in the first place I think. When you said Strelets I was actually thinking of Digit... the twin launcher with a stand and a one man operator. On the advert above it clearly states on the top left that it can be remotely operated. My apologies for the wild goose chase. The Phoenix had 360 degree IRST coverage and two guns but I think the missiles would be more use than 50 cal HMGs most of the time. Strelets seems to be a more mobile system to as it is based on the tried and true MTLB chassis that is in service already. Of course the launch module could be mounted on almost any vehicle chassis, but it would suit light tracked and wheeled vehicles best. Actually I also have this Strelets/Phoenix in mind. I don't know if Vodnik is still in production, but Volk or maybe Vystrel could be good vehicles for this role. Maybe they will also place this system on BMDs for VDV units. I think for its role as a sort of SA-9/SA-13 type system that is mobile and light that it would make sense to use it with light brigades in a light vehicle like the larger SM-3 type light trucks... especially the variants with two rear wheels because compared with infantry carried MANPADS such a system would offer multiple benefits including extended target detection range, likely direct communication with net centric A&SDN (an acronym I just made up meaning Air and Space Defence Network), and offering mobility and armour protection for the crew. With hand held MANPADS the operator rarely spots and engages targets at the maxiumum range of the missile he is using. More often targets are spotted at closer ranges, so the vehicle mounted system with target acquisition sensors should enable better detection ranges and better airspace coverage... especially for low flying high speed targets. In the medium and heavy brigades I suspect the new missile being developed to replace the SA-13 might be used instead on the heavier vehicle chassis plus of course the Tunguska replacement vehicle based on the Pantsir-S1 system and the TOR system. The Airborne forces would certainly benefit from such a vehicle, but I am suspicious. We know from that recent report that the SA-13 system is temorarily being used to replace the ZU-23 towed air defence mount. It is temporary because the SA-13 on the MTLB chassis is not air deployable. They said they were developing a vehicle that was air deployable to eventually replace the SA-13 mounted on the MTLB chassis. Now the question is if we assume the new vehicle is optimised for air dropping we can perhaps assume that it is either BMD based or perhaps light MRAP vehicle based, and the question is can they reduce the Pantsir-S1 type air defence system to a vehicle that small. Perhaps reducing to one gun and 6 missiles to balance it on the other side and an predominantly optics based system without radar, but that is a huge compromise in performance. An alternative could be changing to SOSNA missiles with smaller lighter radar and EO systems with no guns. Remember this is to replace the towed ZU-23. The last option I can think of would be the Strelets system on a BMD-4 chassis which would be simple and straightforward... they could even add a couple of 12.7mm guns like those used on the Phoenix system to add to its firepower and ability to defend itself from the light enemy vehicles. I think for the Airborne the last option makes the most sense and would also likely be the cheapest. It would also give them an extra vehicle they could pile supplies into as well when the enemy has no air power. About airborne units, I doubt Pantsir-S1 could be placed on any airborne vehicle, because it is too large and to heavy. Turret is too heavy and BMD could roll over if dropped with parashute. Turrets from Tunguska, Tor and Pantsir are not an option for them. 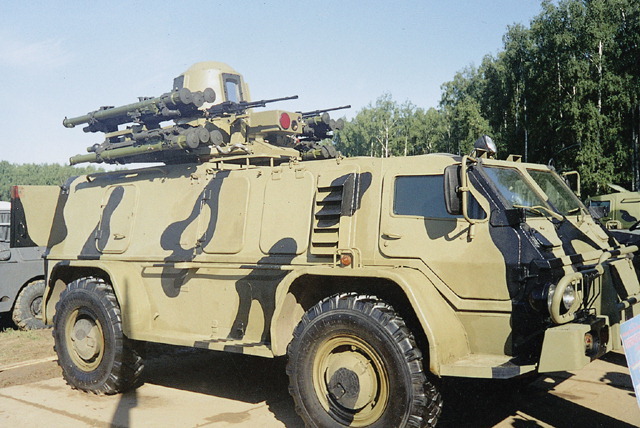 One option for them is Strelets / Phoenix turret with Igla-S or Verba missiles, the second option could be turret from MT-LB-6MB5 with GSh-30-2 gun and Igla missiles or a totally new turret, which could also include radar like portable radar 1L122E. I don't know if MRAP type of vehicles are proper for airborne units, because they are very high and have high mass gravity, but they are well suited for interior army and light brigades. I tend to agree with your assessment that current air defence vehicles are too heavy for fitting to the BMD series vehicles. I think perhaps SOSNA has a small chance that mirrors the naval use of PALMA over Kashtan in some light vehicles because the PALMA system is both lighter and cheaper, though it has no reload capacity for the missiles it is a more limited system. The trailer mounted SOSNA system is a single gun twin barrel 30mm 2A38M cannon (2,000-2,500rpm) with a small cabin and a quad launcher for SOSNA missiles (8km range laser beam riding very high speed missiles) and an optronics system to find and engage targets. Connected to a portable air defence network system that is mobile like the airborne forces and it could use aircraft or other platforms for data. Perhaps even a hybrid system with SOSNA, Igla (to be replaced by Verba when available) and a Gun. This would allow relatively cheap multi target engagement capability with the Igla/Verba fire and forget missiles, but also SOSNA are largely DIRCMS immune and of course the gun is multipurpose. AFAIK during exercises last year the VDV were experimenting with MRAP type vehicles and lighter dune buggy like vehicles too. MRAPs certainly need good ground clearance for cross country use but a small turret with 8 Iglas ready to fire and perhaps a gun and optronics should not be that much of a burden. Will be interesting to see what they finally arrive at. It also depend on what kind of turret airborn troops wont to have. Maned or remote controlled. For maned turret they could modify turret from BTR-82A, which have elevation of 70°, what is enough. It have 30 mm gun in the middle, but could put 2 or 4 Igla or Verba missile launchers on sides instead of 7,62mm PKT and 30 mm AGS. For FCS it could use existing day/night sight TKN-4GA or new one with thermal imager and laser range finder. This combination would be light enough and still very effective. I think that would make a good solution, it would be relatively cheap and standardised with other units in both ammo and components. In fact I am pretty sure four Iglas could be hung off each side of the turret the same way they are hung off the turret of the Phoenix and Strelets. 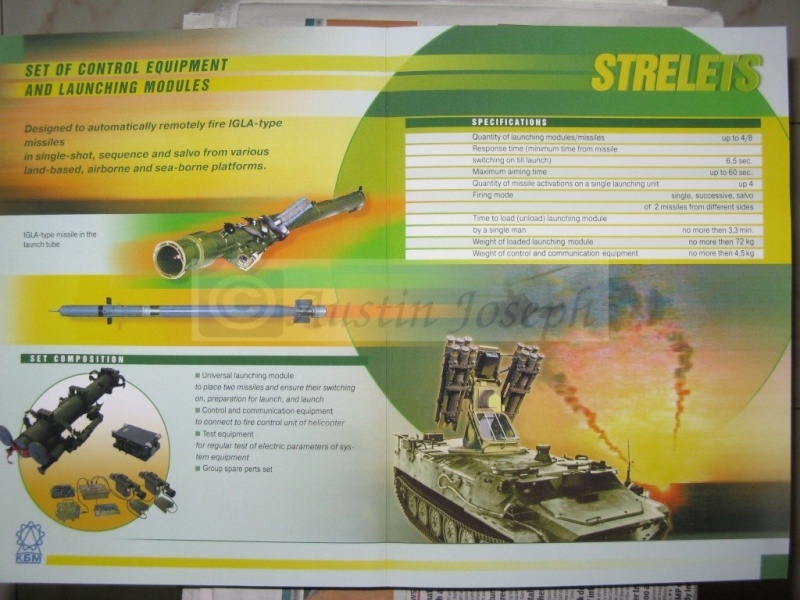 I am pretty sure that the Strelets systems is not limited to the MTLB or that particular turret type and could be attached to the BTR-80A type turret. It might make sense to go for the 14.5mm gun armed model turret because the ammo would take less internal space and leave more room for a missile ammo reload perhaps? I would think the removal of the 30mm grenade launcher might free up space for extra passive electronic sensors that detect radio emissions from radio altimeters and terrain avoidance radars as used by low flying aircraft and weapons to avoid hitting the ground. These sensors along with a connection to the air defence network should give sufficient warning plus a decent thermal sight could be used with auto tracking software to detect aircraft at extended range. This will allow the vehicle to offer the best air defence coverage possible with the available missiles. I think I'm not understanding you here clear. As I know ammo for 14,5 mm machine gun or 30 mm gun is inside turret and have more or less the same space for ammo for the main gun. As I know, turret from BTR-82A doesn't have space for any missiles, so spare missiles will be places outside turret somewhere inside vehicle. Different gun in that case in my opinion doesn't have any influence on missiles placed on turret. Maybe only with FCS, which maybe will need more space for operating additional armament. Talking about gun, I personally more prefer 30 mm gun, because it have longer effective range than 14,5 mm and is more effective against helicopters, specially armored ones. As I know ammo for 14,5 mm machine gun or 30 mm gun is inside turret and have more or less the same space for ammo for the main gun. I would think 500 rounds of 14.5mm ammo would take up less space than 500 rounds of 30mm ammo. Especially as the 14.5mm ammo would now be in a single continuous belt while the 30mm ammo will be in two separate belts for AP and HE. I have three 25mm rounds from a LAV III in a belt and I have a 50 cal browning machine gun round that easily fits inside the empty 25mm shell case. The 30 x 165mm round is significantly bigger than the 25mm round, so while the 14.5mm round is also bigger than the 50 cal browning I am pretty sure that the 14.5mm ammo will take up less space internally than the 30mm ammo. I suspect it would also be significantly lighter in terms of ammo weight and weapon weight. As I know, turret from BTR-82A doesn't have space for any missiles, so spare missiles will be places outside turret somewhere inside vehicle. Different gun in that case in my opinion doesn't have any influence on missiles placed on turret. Maybe only with FCS, which maybe will need more space for operating additional armament. Was thinking about 2-4 missiles on either side of the turret much like on the Phoenix or Strelets. Individual missiles are long and slim and could be stored in the hull behind the turret where the troops would normally sit in the troop carrying version. Should be able to stack at least one full reload. I agree, but for the extra weight and size I don't think it is worth it. Most of the BMD-4s should have high elevation 30mm cannons already so for such threats they should be able to deal with them themselves. My thinking is that the 14.5mm gun is a definite threat to most helos and light vehicles while not weighing too much or taking up too much room. With the 14.5mm gun and 30mm grenade launcher and PKT MG I think the vehicle is well armed while reloading SAM missiles. I don't want a vulnerable target, but I don't want to over burden it with the same weapons most of the vehicles it operates with will be carrying. Its primary role will be shooting down aircraft but preferably at extended ranges... if a Helo gets within 30mm cannon range then there is something wrong and rather than shooting it out it should be running. I could understand you wanting to keep the 30mm gun, but would suggest the removal of the 30mm grenade launcher to compensate. I rather suspect that the addition of a thermal sight like the Catherine system fitted to T-90s and BMPs will be the only add on required to make this vehicle all weather day night capable. The missiles are IR guided and fire and forget so MMW radar or some such stuff is pointless... if the Catherine can't see the target there is no way the IR seekers on the missiles will get a lock anyway. Another option of course... if we think about it... this is the VDV... best of the best, so perhaps the longer chassis troop carrier with vertical launch tubes on the rear and a very small turret on the front with thermal and TV optics to fire Morfei missiles.